The Personal Injury and Workers’ Compensation lawyers at the Schmidt-Salita Law Team are very experienced in the handling of injuries to the neck and back, including injuries to the intervertebral discs. 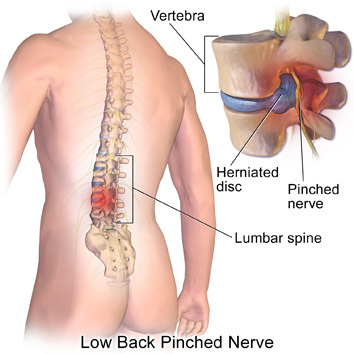 The human spine is composed of a series of bones, called vertebrae that are connected by intervertebral discs that can be damaged by the forces of trauma in a car accident or other traumatic event. 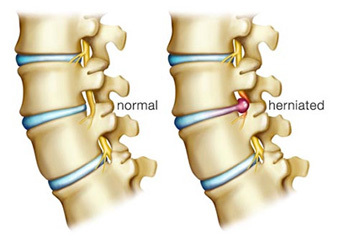 Herniations-a disc herniation is an injury to the intervertebral disc in which the disc “ruptures” so that it extends out beyond its normal shape. Disc herniations are also commonly called a “slipped disc” or “ruptured disc”. The term herniation includes a “protrusion” and a “extrusion”. Protrusions-a disc protrusion is a herniation where the herniated part is not longer than it is wider, i.e. the distance that it extends from its normal shape is less than the width of the defect. Extrusions-a disc extrusion is one where the distance of the herniation is longer than it is wider. Sequestered discs-The extruded disc material has separated from the main part of the disc. 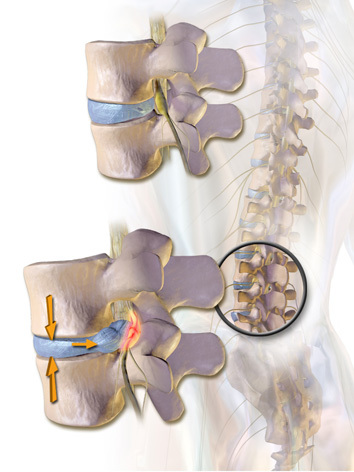 Injuries to the intervertebral discs can be the cause of significant injury and disability, often resulting in surgery. The Personal Injury and Workers’ Compensation Lawyers at the Schmidt-Salita Law Team have 75 years’ combined experience in bringing justice to the victims of neck and back injuries, including injuries to the intervertebral discs.